Jesus’ initial instruction to us is to repent, or to change the direction of our life. The purpose of repentance is to enter the kingdom of heaven. The next logical question is, “What is the kingdom of heaven like?” The image I received from my childhood was that heaven was somewhere up in the sky where there were many long-dead relatives, along with angels playing harps while floating on clouds. It made me think of family reunions as a child, minus the angels, and it was hardly a compelling image for me at the time. The thought of spending an eternity there made me wonder about my other options. My first observation is that the kingdom of God is not a static point or place in time. In the parables of the sower, the mustard seed, and the leaven, the example used is something that is grown into over time. Like a plant growing to maturity, the kingdom dweller is dynamic, forever changing, and evolving into new versions of itself. Patience is necessary. A second observation is that the kingdom is a life-multiplier. Particularly in the yeast parable, but also in the seed parables, the analogy indicates that accessing the kingdom enhances whatever is happening in life in positive ways. Without yeast, bread may still be bread, but it will not rise or be nearly as tasty as it would otherwise be. Without yeast, bread is also left sterile, meaning it cannot generate additional loaves of bread from itself. This is further illustrated in the parable of the sower when the seed is sown on fertile soil and the seed multiplies. Likewise, in the story of the net, this kingdom net catches many fish of every kind and size. The kingdom of heaven, like yeast, soil, and a good fishing net, improves the state of, bounty from, and diversity in our lives. A third observation is that the kingdom, once experienced, becomes the most valuable part of our lives. In the parables of the pearl of great value and the hidden treasure, the possessors of the pearl and treasure give up everything else in order to attain this one treasure. Their sole focus becomes the kingdom. Finally, the kingdom of God is about the here and now. It is not some faraway place up in the clouds. Jesus uses everyday examples and explains the impact of the kingdom on regular, daily activities. It under girds and supports our lives, just as the mustard seed transforms into a tree and provides shelter for birds. Entering the kingdom means experiencing our world in a new way. It does not necessarily change our profession, our health, our finances, or any of the material particulars of our lives. What it changes is our perspective, assuring us of a larger, beneficent life surrounding us, and that can lead to astronomical changes in the life we experience going forward. Far from being a family-reunion-in-the-sky, the kingdom is about our lives today! It takes the life we have and makes it joyful, richer, more productive, more loving, and more fulfilling. The kingdom of God is not a place we go, but a unity we become as we learn to see others through and to be seen by the unfathomably loving gaze of God. The theme for the third week of Advent is Joy. Happiness is often used synonymously with joy, but the two are significantly different. Happiness is a transitory state of mind, but joy is an underlying orientation to life. We can be happy one moment and sad the next, not unlike the ups and downs of an emotional roller-coaster. Joy, however, remains relatively constant regardless of the immediate circumstances. In Luke 2:10, the angel tells the shepherds, “I am bringing you good news of great joy for all the people” (emphasis added). The angel’s message clearly refers to something greater than momentary happiness. 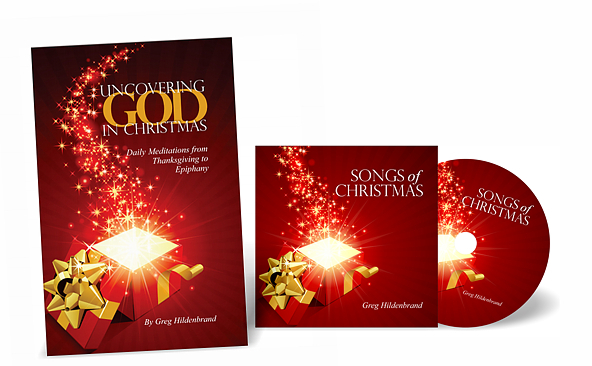 The incarnation of God on earth as Jesus was and is intended to be a life-altering, joy-inspiring occurrence. In his letter to the Romans, the apostle Paul writes that God fills us with joy and peace in believing (15:13). In other words, it is our belief – our lived faith that God is real and present in our lives – that leads to joy. Like a self-perpetuating cycle, faith makes hope possible, hope brings joy, joy renews our faith, and so on. Those who lack the optimistic hope that life is defined not by its challenges but by its blessings cannot live with joy. The pessimist only sees life as one set of catastrophes after another and lives in constant fear and dread of the next disaster. A joyful person knows that great blessing lies just beneath every difficulty and waits expectantly for it. The difference is subtle, but powerful. One scriptural reason for hope is found earlier in Romans (8:28) where Paul writes, “We know that all things work together for good for those who love God…” Nowhere in scripture are we promised an end to the troubles and heartaches of this life. Rather, we are assured that God will work through our suffering and transform it into something good. Those of us who have lived long enough and awake enough have seen this proven true repeatedly. Indeed, this is the good news of the Gospel. One can be happy without joy for a time, but only a joyful orientation to life will bring lasting happiness. The first step is to develop our faith, and this is a personal choice. No one, including God, can force us to believe. Becoming faithful requires a willingness to trust that which we cannot see or prove exists. As we surrender into a stronger faith, we cannot help but become more hopeful about life and the future. Our faith teaches us there is nothing that can possibly happen to us that will happen beyond God’s ability to mold it into a blessing. Once we know that even death cannot separate us from love, our fears dissipate. As we worry less about the future, we become capable of experiencing joy in the present moment. This is the great joy spoken of by the angel to the shepherds. This great joy is not about some future reality in a faraway land we may see when we die, nor is it about some obscure event that happened two thousand years ago. This great joy is here, it is now, and it is available to everyone. We must position ourselves to receive it, however. So, when I wish you a joyful Christmas season, I am not hoping you will receive lots of nice presents (not that there is anything wrong with that). My wish for you is for a life transformed by the birth of the Christ child within you. That is the path to a true and sustained joy; and from that great joy, all good things will flow!